As I have mentioned before, I have an investment in Merck. At the time I thought the shares were undervalued and felt the 5% dividend payment was too tempting not to invest. I opened a Merck DRIP and my investment is now worth more than $5,000. Last year I took a look at Sharebuilder and determined it would have been a cheaper holding vehicle to buy and hold my Merck investment, however I never got around to transferring my investment to Sharebuilder. Since I had already transferred my Etrade account holdings to Sharebuilder and was very please with the experience I decided it was time to start consolidating my Merck investment as well. I wanted to move my Merck shares over because I view them as a long-term investment and I think it’s important to keep my fees as low as possible. It turns out the Merck DRIP has a dividend reinvestment fee of 2%. If I hold the stock for 30 years and reinvest the dividends these fees could add up to a significant expense. I decided to request withdraw of my Merck shares from the Merck DRIP immediately after receiving a dividend payment to give myself as much time as possible to transfer them to Sharebuilder without receiving a dividend payment. I had 132.2313 shares in my Merck DRIP account. 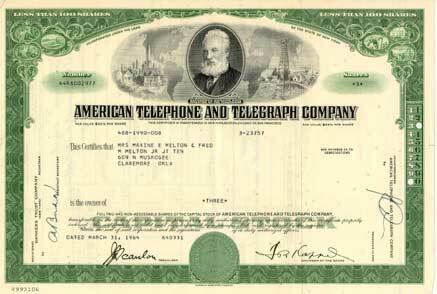 However you can only get a stock certificate issued for whole shares. I decided to withdraw the 132 whole shares and rather than pay the price to sell the fractional share, leave the remaining amount in the account. Once the fractional amount gets to a whole share I figured I could repeat the process to transfer the one share if I was bored and looking to save the money in the future. Once the dividend was paid - I logged into the Merck DRIP website and requested withdraw of my 132 Merck shares. In about 1 week I received the stock certificate in the mail. My next step was to print out the transfer form from the Sharebuilder web site. I took the form to my local bank (where I get free notaries) and had the form notarized. I mailed the stock and transfer form to Sharebuilder and the stock showed up in my account within 4 days of mailing the shares to Sharebuilder. Again, I was pleased with the entire experience. Now I just need to wait until the fractional share becomes a whole share and I can repeat the process to finish transferring all my Merck stock to my Sharebuilder account. Was the hassle to transfer the stock worth it? The total expected benefit would be about $8/yr in reinvestment fees. Not a lot of money, but that ignores the potential appreciation and dividends of reinvesting this $8 each year for the next 30 years. How did you invest in DRIP? I am also interested in DRIP and looking at Computershares and would like to know any other alternatives out there. Thanks. Each company sponsors its own DRIP. So if say you were looking for a ExxonMobil DRIP - then the only company sponsored plan that is available is through Computershare (formally equiserve). The best way to find the company sponsored drip is to go to the web site of the company you are thinking about investing in and looking for info on their DRIP. I'll be posting more shortly about DRIPs. Thanks 2M for the information.